Well, it was short lived, but a fun ride. 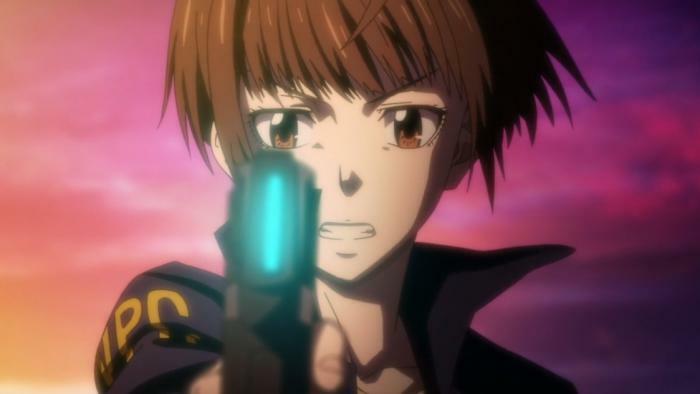 The second season of Psycho-Pass has come to an end. Definitely not the same quality as the first season, but still enjoyable. I was hoping for the story to actually move somewhere, but it feels like we’re exactly where we left off! Here’s looking forward to the movie anyways. Sibyl seems rather incompetent at this point. Instead of dealing with Kamui ages ago, they let him wander around and now he’s at this point. Instead of turning off stolen dominators (from the deceased inspectors…), they leave them on just because. Either way, enjoy the screenshots of the second last episode! Someone should give Mika a medal for the amount of jealousy she’s carrying towards Akane! The girl is going to town on her investigation, making huge discoveries, but then her motive becomes clear as she writes her report. 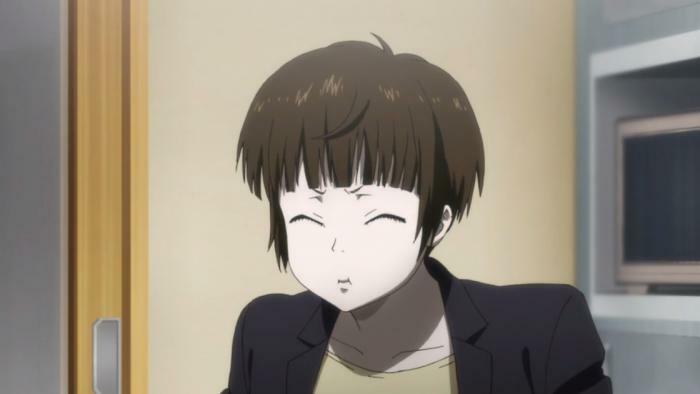 This was all just another one of her many attempts to get Akane fired! Mika is ruthless and won’t stop at any costs to take down Akane-chan! Well, at least Kamui isn’t being called a ghost anymore. 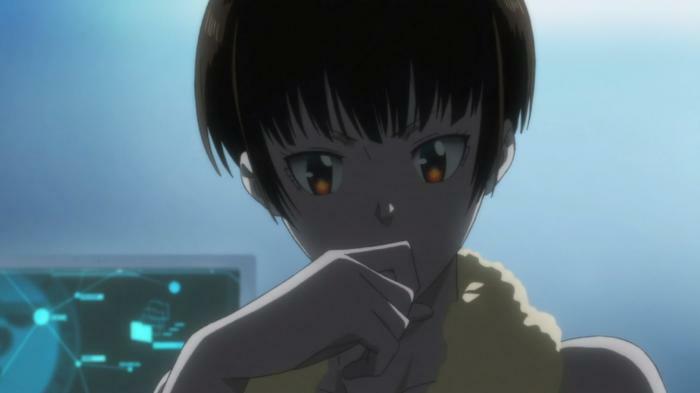 Some guy going around stealing dominators, and kidnapping/murdering inspectors is somehow considered a “ghost”… Either way, everyone seems to be in kahootz with each other, leaving poor Akane and the other MWPSB sheep out of the loop. 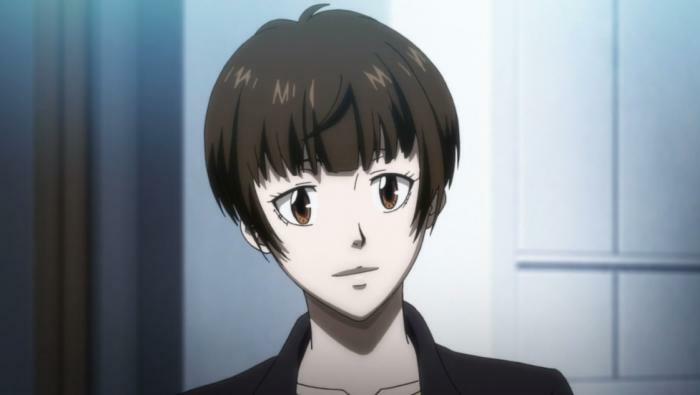 While the mystery is good and all, I think everyone has the same question on their mind… When is Kougami going to magically drop down from the sky, save everyone, and sweep Akane off her feet? I guess we’ll have to wait and see, but for now, enjoy some screencaps from episode 7. 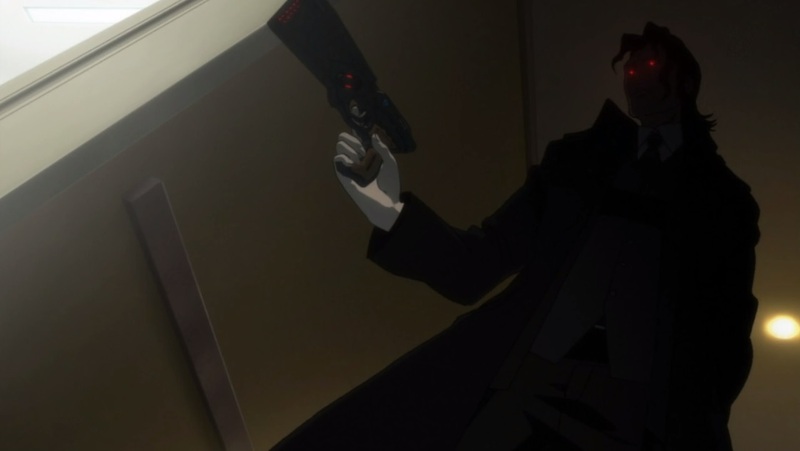 Akane once again is unable to pull the trigger, and Mika continues to be a nuisance! You would think that she would have a reality check by now, but nope, she continues to blindly follow the rules. I hope, for her sake, that she snaps out of it before its too late. This season gets bloodier and bloodier every episode! Kamui continues to lead the inspectors around on a wild goose chase as he continues to cause an uproar against Sibyl. Only time will tell how this story will end, but they definitely have my interest! I’m looking forward to seeing how they bring it all together in the end. To save everyone’s eyes, I didn’t screencap the more gory pictures, but damn, this was a brutal episode. Even though Urobuchi isn’t writing this, they’re killing characters off left and right. I was beginning to like Aoyanagi’s character too, but unfortunately this is her fate for trusting the Sibyl system so greatly. 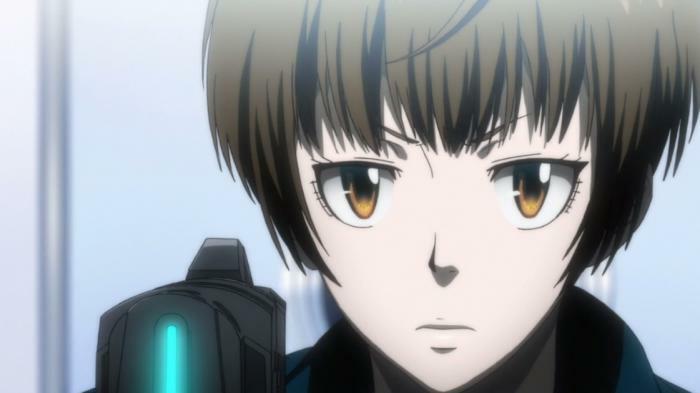 Things begin to unravel with each new episode of Psycho Pass! 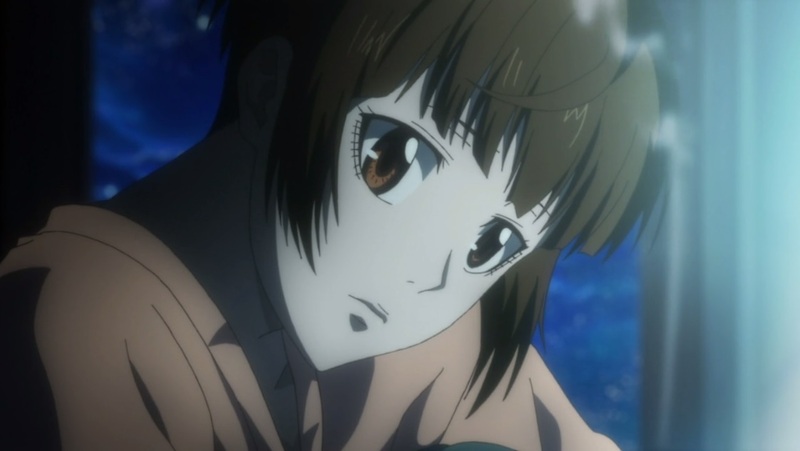 Poor Akane is straining herself, trying to replace Kougami’s role in the team. 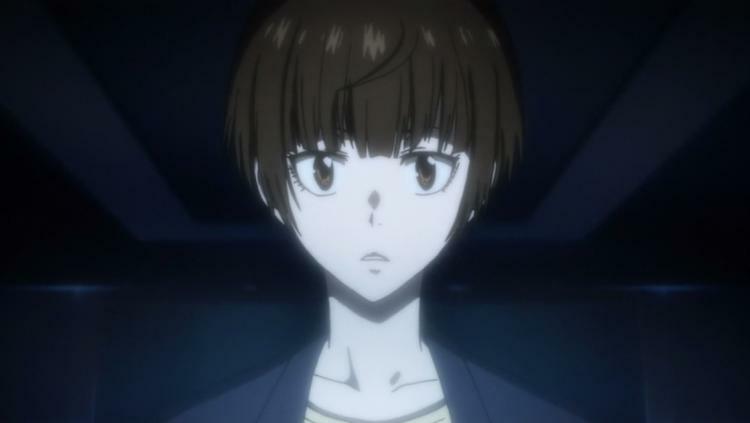 Don’t forget to read my full review on Psycho-Pass 2 episode 2!